Without additives. Without preservatives. A traditional recipe cooked the old way. 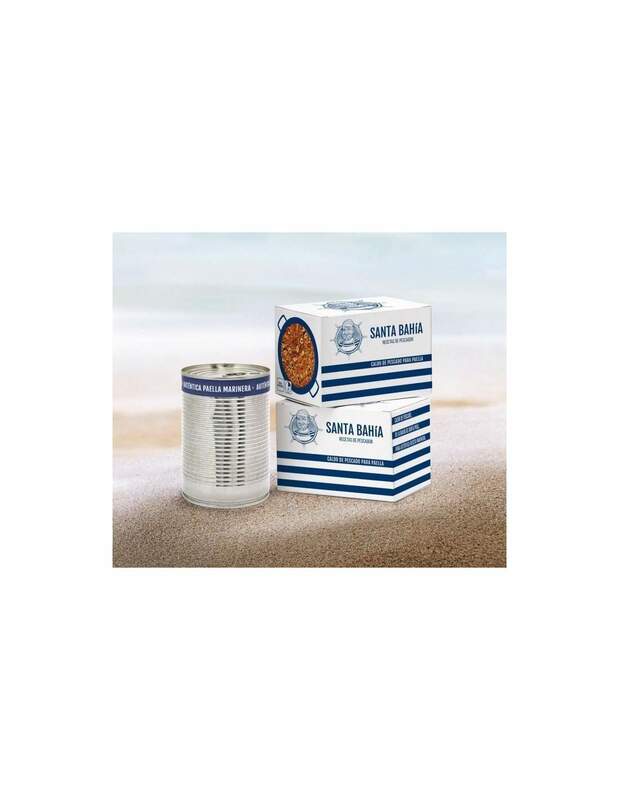 A product made in Spain and with national ingredients. The first packaged fish broth that does not need to follow a cold chain, that we can keep in the cupboards of house, that we can export without problems and send to that friend who lives abroad. INGREDIENTS: Water, rock fish (21%), (chickens and redfish -rascasas-, ribbons, galleys, gilthead, roosters, jack mackerel, denton, crabs, rooster and gallopedro), fried tomato (tomato, tomato concentrate, oil sunflower, onion, sugar, salt and acidulant: citric acid (E-330)), monkfish, garlic, flavor enhancer (monosodium glutamate E-621), salt, spider crab, ñora and coloring (E-102). Sterilized product. Artisanal cooked dish. Store in a cool, dry place Once opened, keep refrigerated and consume in 2 or 3 days. 1. Add 150 milliliters of olive oil to a 42 cm diameter paella. 2. When the oil is hot sauté a few pieces of red pepper, remove it and reserve. 3. Then sauté in the same oil, for example, some pieces of squid, emperor, prawns ... and when they are golden, remove them from the paella and reserve. 4. 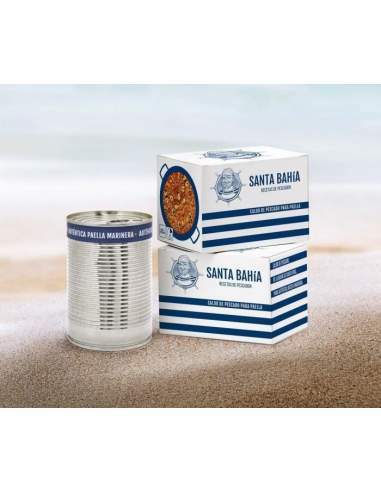 Pour the broth from a Santa Bahía tin into the paella. 5. Fill the can 2 times with water and add it to the paella. 6. Raise the heat to the maximum and, when it starts to boil, add 450 gr. 7 After 3 minutes reduce the heat by half and introduce the ingredients you have reserved (pepper, squid, prawns, etc.) and boil for 12 minutes. 8. Then lower the heat to the minimum, cover and keep for 5 more minutes. 9. Turn off the heat and let rest for another 5 minutes without uncovering. 10. Serve and enjoy an authentic seafood paella.